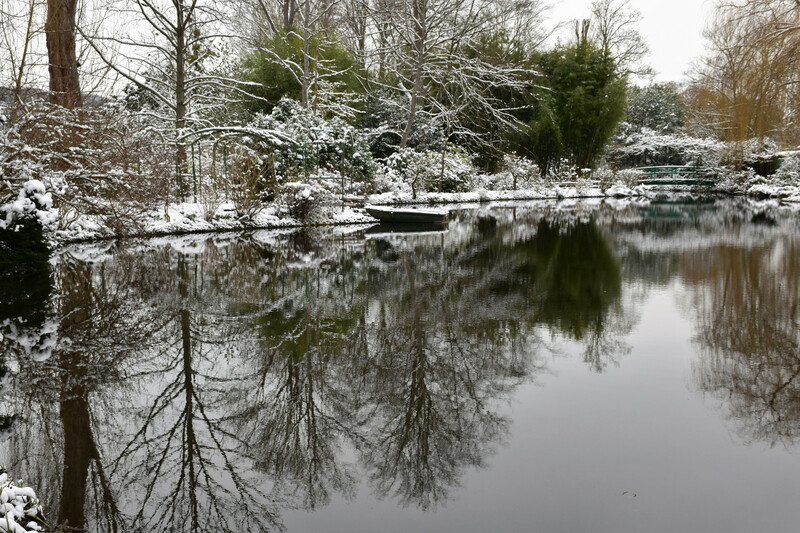 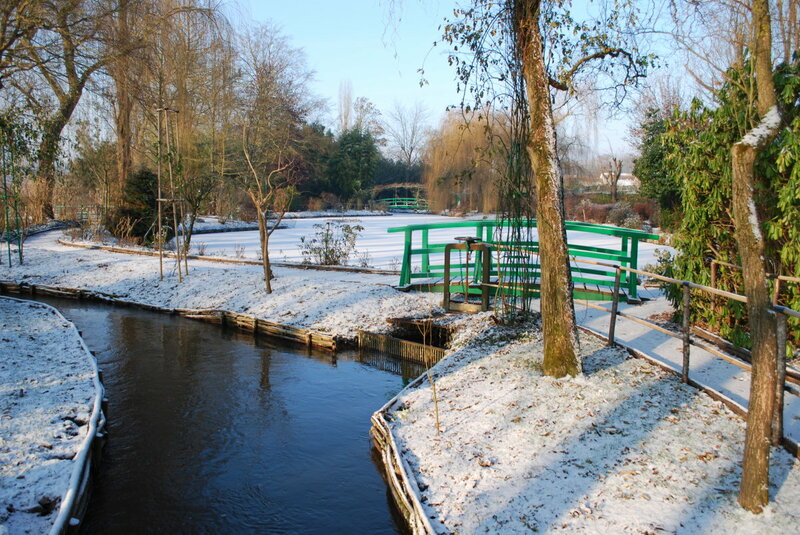 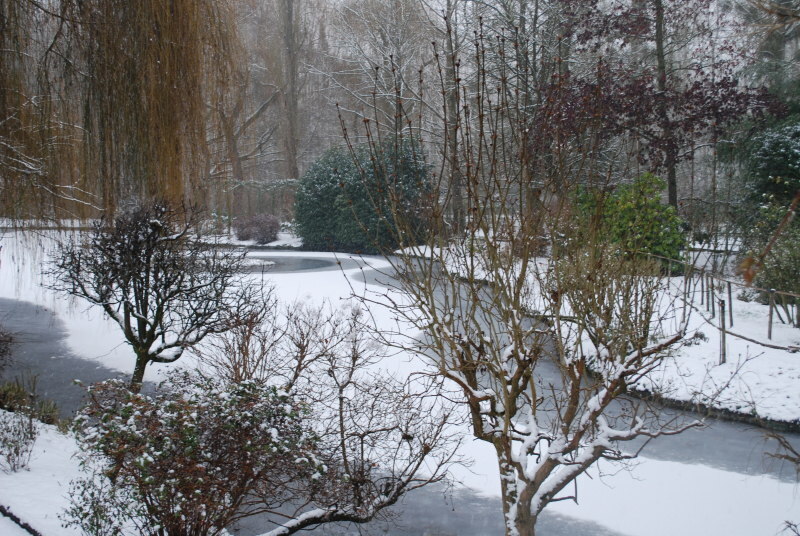 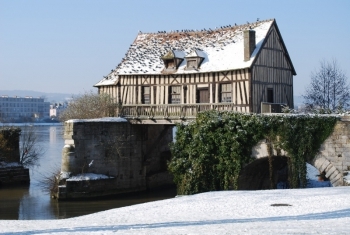 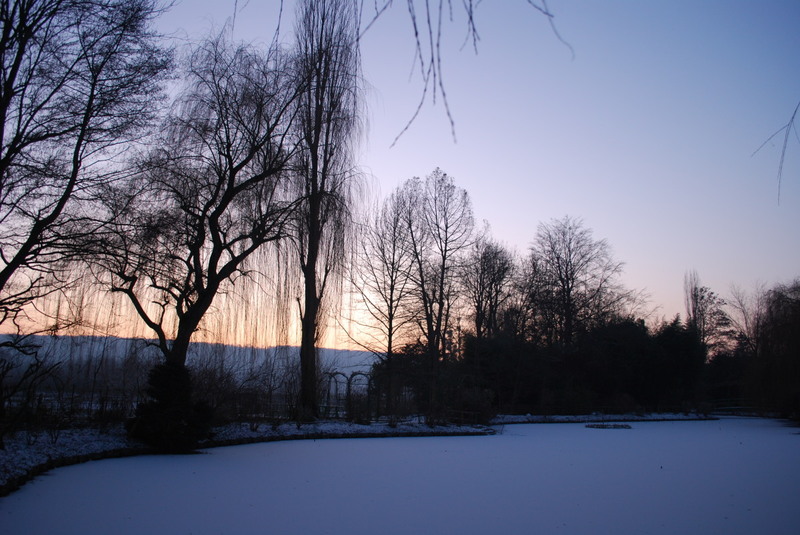 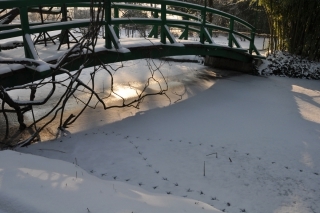 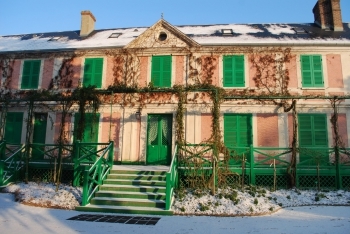 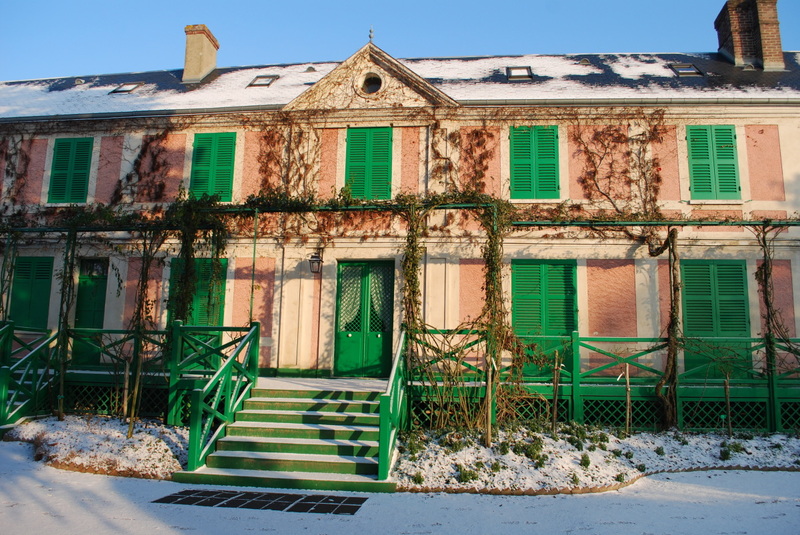 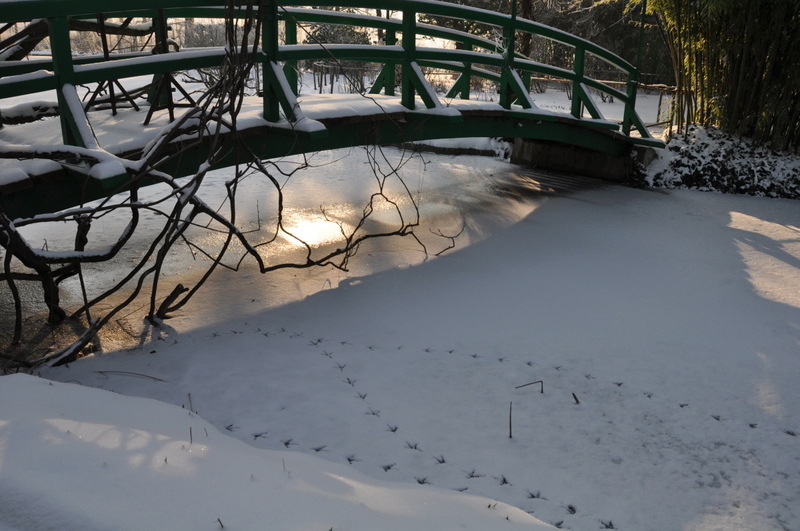 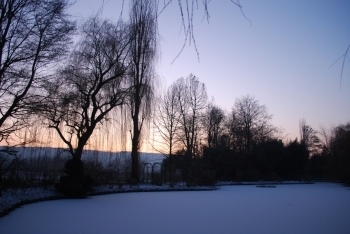 An unusual view of Giverny: Monet’s water garden is covered by snow. 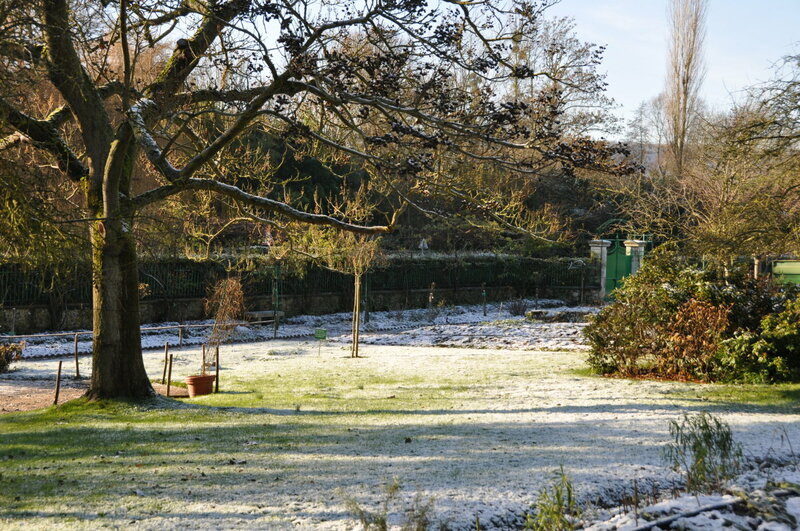 Not much but enough to transfigure the usually colourfull garden. 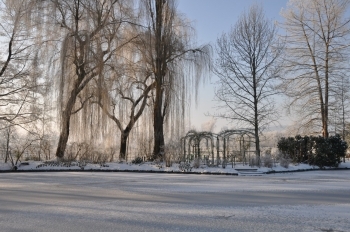 The pond is frozen, except for the place around the island and the borders. 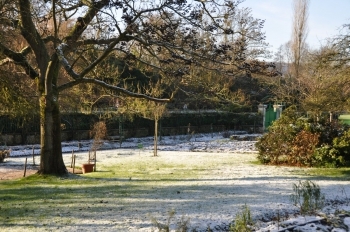 In the background the roses arches at the dock are still there as a landmark to the dormant garden.